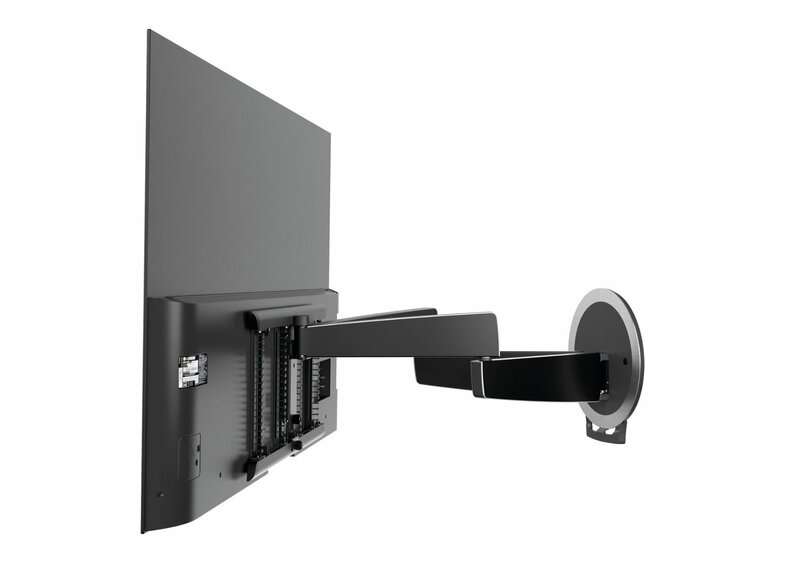 Vogel's NEXT 7356 Cantilever Electronic Full-Motion TV Mount For Up To OLED 65"
Vogel's NEXT 7356 Cantilever Electronic Full-Motion TV Mount For Up To 65"
Discover the specific qualities of the electronic full motion OLED TV wall mount, the OLED MotionMount (NEXT 7356). OLED TVs are thin and fragile. 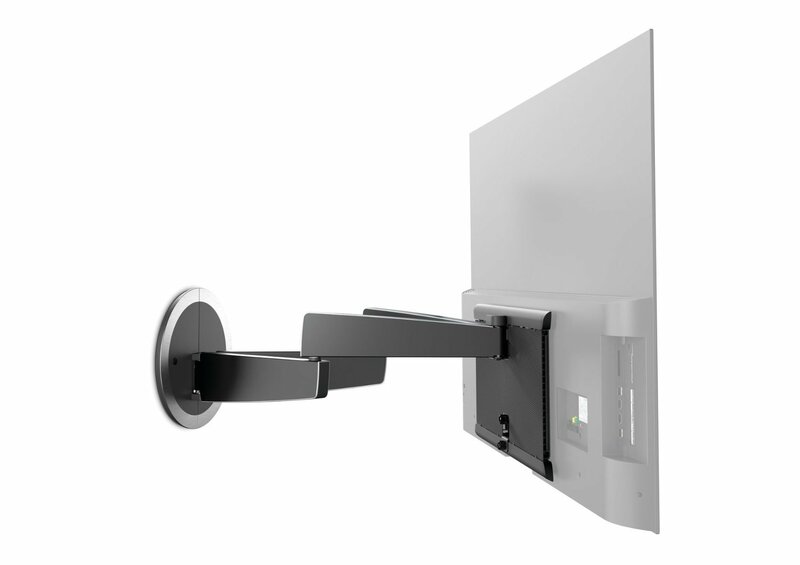 That's why Vogel’s developed an electronic full motion OLED wall mount ideal for OLED TVs. 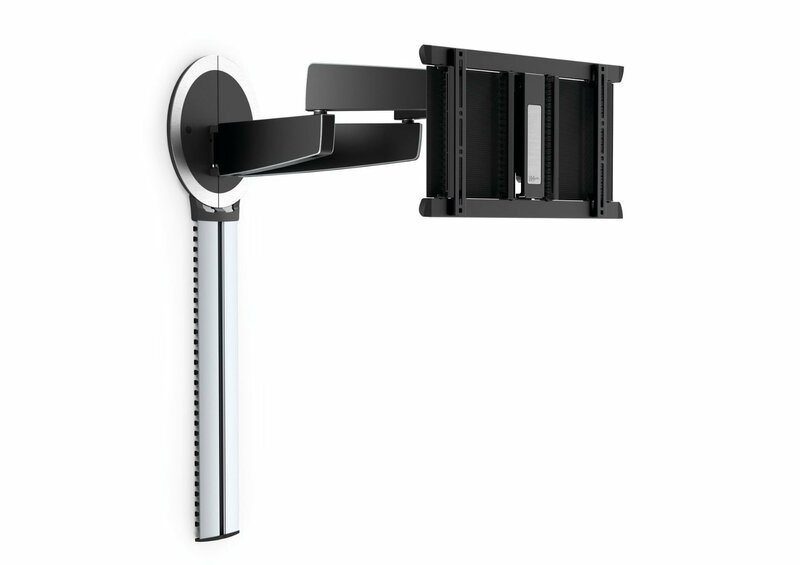 As soon as you switch on your TV, the MotionMount moves to your preset viewing position in one smooth movement. 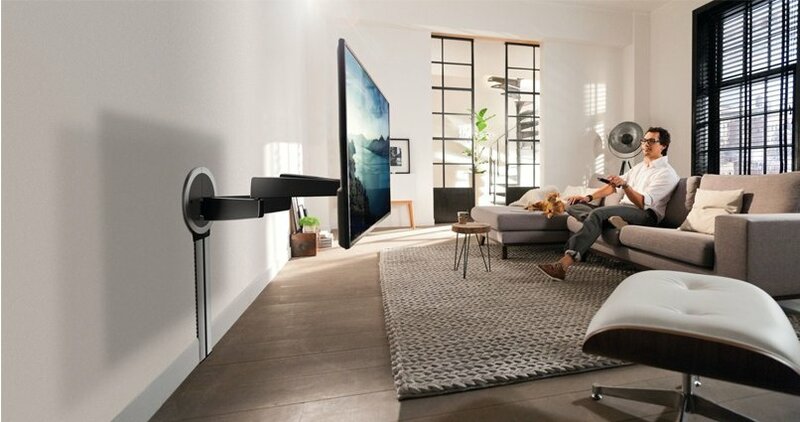 When you turn off the TV, the OLED TV and the MotionMount gracefully move back against the wall. With this wall mount, you never need to touch your fragile OLED screen again. 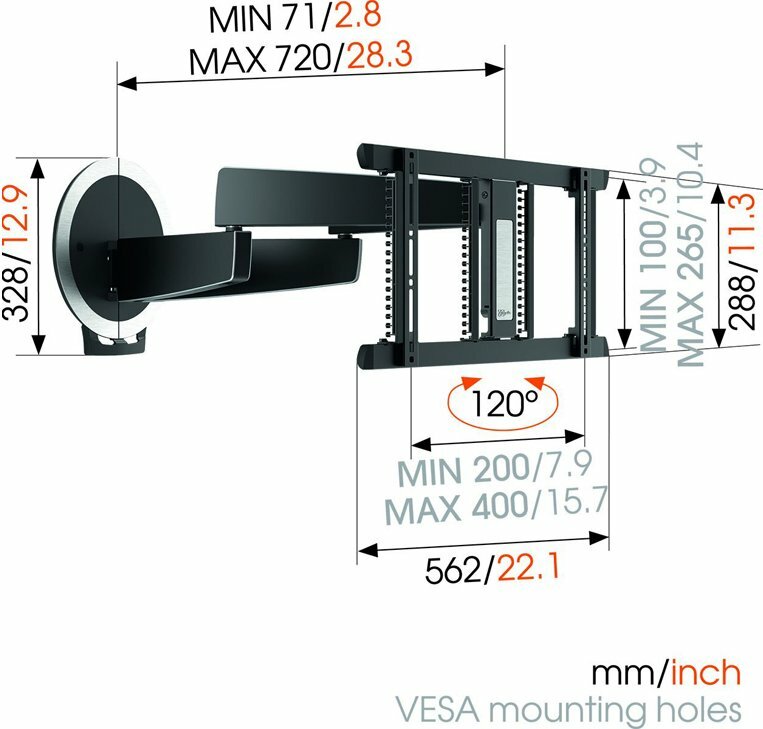 Even mounting and installing the OLED MotionMount is really simple. Everything is plug & play: put the plug in the socket and everything works!